← 3 Writing Celebrations in 1 Day!! So, when my friend Tam Scharf, from Yr5sK in Queensland, Australia, invited me to join the Global Read Aloud this year, I knew I had to do it! I have read about it for a couple years (during my time on Twitter! ), but wasn’t really sure what to do to get involved. Well it’s really pretty simple and has already proven to be a great opportunity for Rm. 202 kiddos! The basic idea is that our class is reading a chapter book along with many other classes and there have been activities planned by a small group of teachers on our team that each class is trying out and then posting to our blog, or to Padlet, or other online venues. Some classes are tweeting, and there will be Skype sessions planned, as well. Each week we are reading a different part of the book (it’s broken up into 4 parts that focus on a different relationship), and we do the coordinating activity. 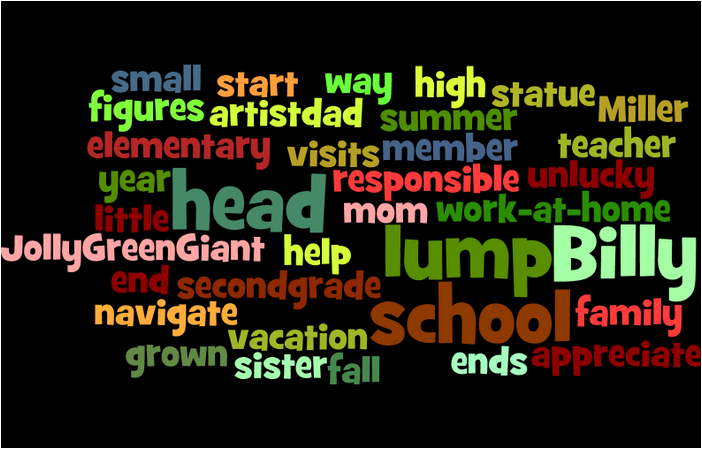 The first week we studied a word cloud about Billy Miller and brainstormed what we thought the book would be about. We posted our predictions (along with other GRA friends) on a Padlet set up for that activity. It was great to read what other kids thought about the story, and we even revised some of our thinking based on what they shared. Already a great start and we hadn’t even started reading! 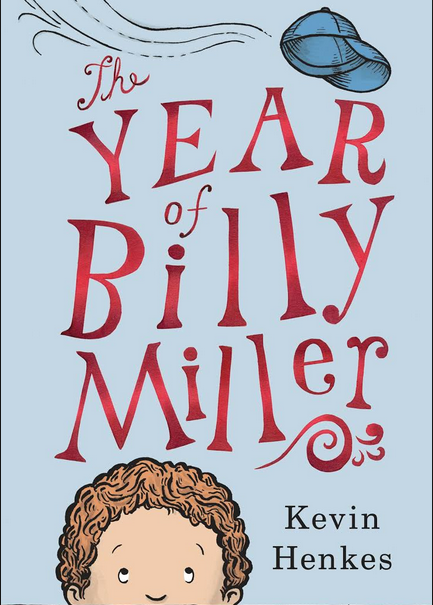 Last week we read the first section (called Teacher) and met Billy and the other main characters in the book. We are using this book as our study in Readers’ Workshop and it’s matching up perfectly with our work with story elements. We learned how to use a story map, and recorded the characters, setting adn problem/setting so far in the story. We’ll keep modifying this organizer as we go on, as well as completing the other planned activities. We’re excited to join in for this week’s work: a Popplet about what we think about Billy as a character. We’re not done yet but are excited to share our thinking once we get there. This story is so fun and kids can easily relate to it; the project is a great motivator for us as readers and citizens of the world! We found out the other day that there are over 500,000 kiddos signed up doing the same thing as us–WOW!! I’ll update you with more as we get further into this great collaboration! Posted on October 15, 2015 by Jen Bearden	• This entry was posted in Classroom, Read Aloud, Reading, Second Grade, Technology and tagged collaboration, fun, Global Read Aloud, Kevin Henkes, read aloud, Reader's Workshop, reading. Bookmark the permalink.